North Camp 2019 will take place at Mickle Middle School July 22-26. The concert for North Camp will take place at Northeast High School on July 27 at 10:00 am. 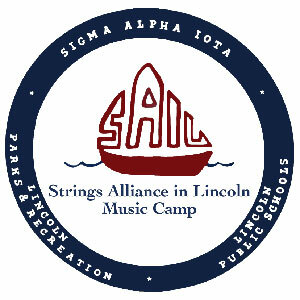 Tuition is $80 and includes instruction, two camp photos, a SAIL Music Log, and a SAIL Camp t-shirt. Students who qualify for free and reduced lunch at school may be eligible for a SAIL Camp tuition scholarship. To apply for a scholarship, please contact Mr. Wright. All refunds for events & camps are handled on a case by case basis. Please contact us to discuss refunding your ticket or camp. Should the event or camp be canceled, refunds will be placed on the credit card you used to make your purchase.